So - I did a thing. It's actually been a plan of mine, for over a year, to box Sage and Millie's books. It was my intention to release the boxset and kick-start the rest of the series, but then other stories kind of bombarded that notion and demanded my attention. That said, after my summer of R.C. reading, I decided now's the time to wrap Sage and Millie in a new pretty bow and re-release them. I'd like to say that the rest of the band's stories will follow soon - but I don't really have a timeline for them. However, I will say, re-reading Sage has birthed a new excitement and determination to write Maddox, Knox, Alex, and Derrick's tales of love. Even more, while I was reacquainting myself with the crew, they decided to switch things up and change my original book ideas - which I love. So, rest assured they will be coming. Eventually. There are a lot of stories in my head, and I can only write one at a time. 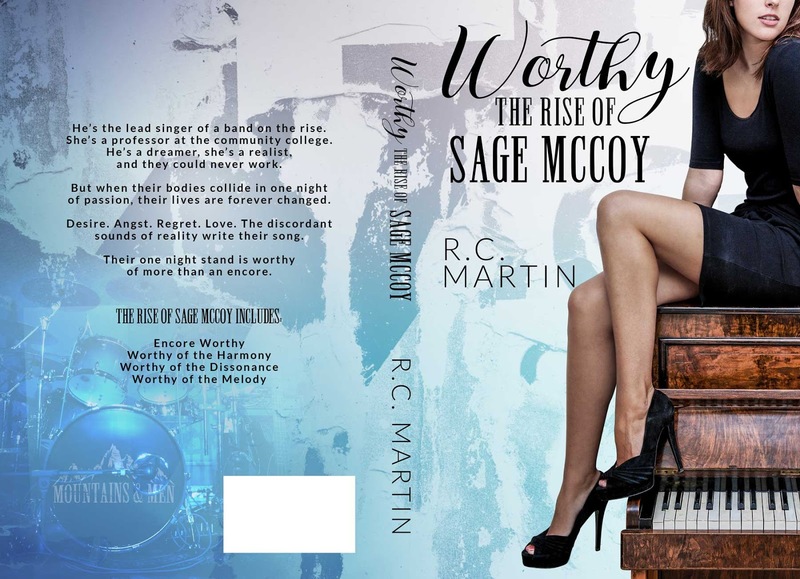 For now - if you haven't met my rocker Sage - you can get his entire collection in just one click! He’s the lead singer of a band on the rise. She’s a professor at the community college. He’s a dreamer, she’s a realist, and they could never work. But when their bodies collide in one night of passion, their lives are forever changed. Desire. Angst. Regret. Love. The discordant sounds of reality write their song. Their one night stand is worthy of more than an encore.